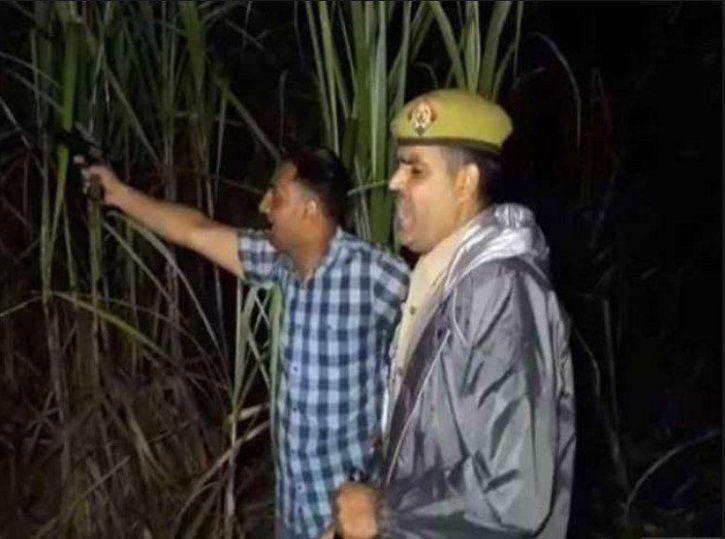 Recently a meme gone viral, when two UP cops went on an encounter in Sambhal district, and their pistol got jammed during an operation to catch the goons. They shouted ‘thain thain’ to scare criminals, and they did not just come back with the criminals. However, the cop’s ‘presence of mind’ gave him fame and a bravery award recommendation, while also giving the internet a string of hilarious memes. 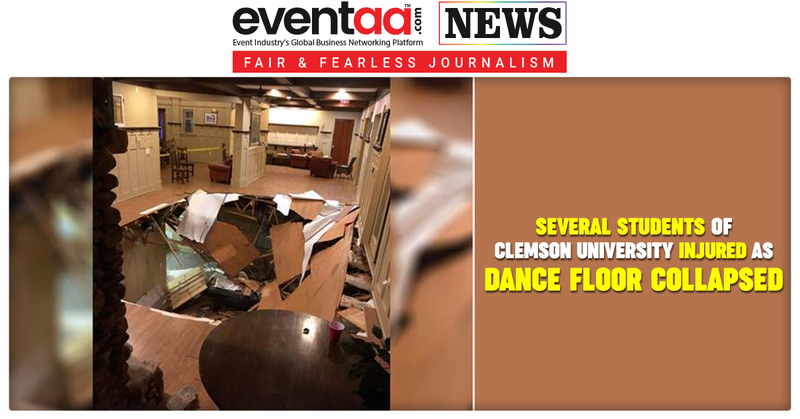 Other than hilarious memes, the incident also gave a bunch of genius people an idea to celebrate Diwali in an eco-friendly way, which is more important. 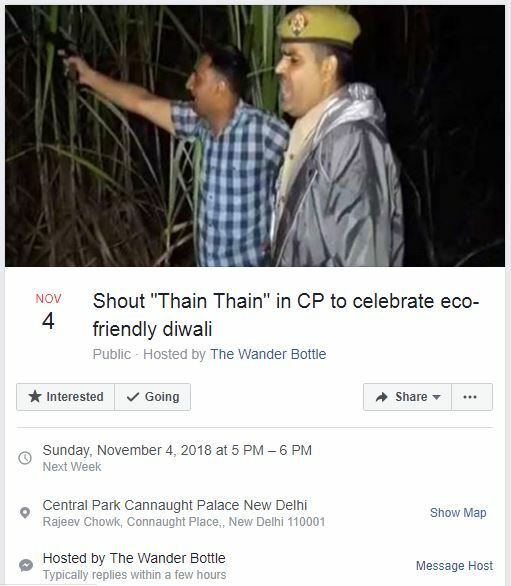 Thousands of Delhiites are interested in shouting “thain-thain” in New Delhi's Connaught Place, as an FB event asks people to celebrate an Eco-Friendly Diwali. And this is not a joke. 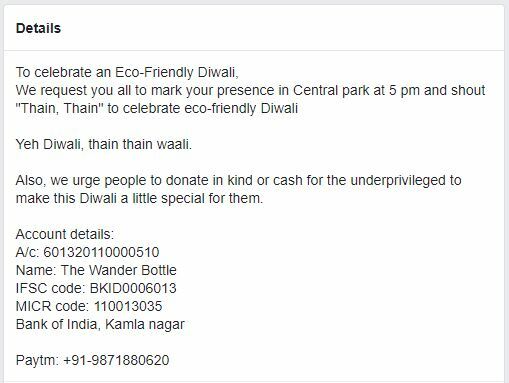 The Facebook page - The Wander Bottle created a Facebook event titled as ‘Shout “Thain Thain” in CP to celebrate eco-friendly Diwali’, which has been scheduled for 4 November, Sunday between 5 pm and 6 pm. The event has been created with the aim of gathering people in Central Park to create awareness about having a pollution-free Diwali. People have shown a lot of interest in the event. 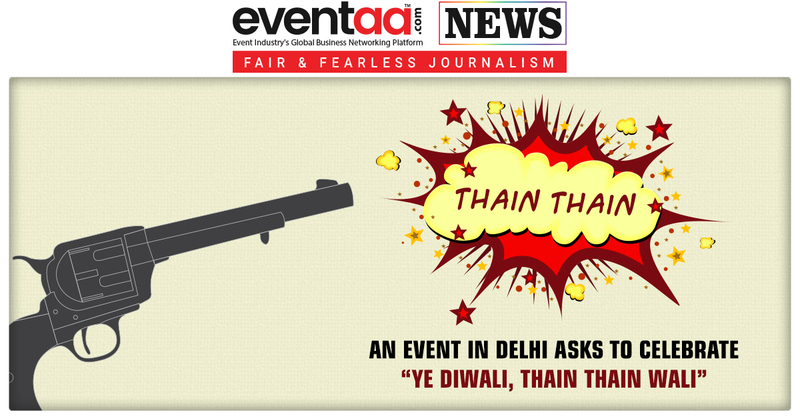 Believe it or not, 2K netizens are ‘going’ to shout “Thain Thain”, while another 10K have shown their ‘interest’ in the unique event. 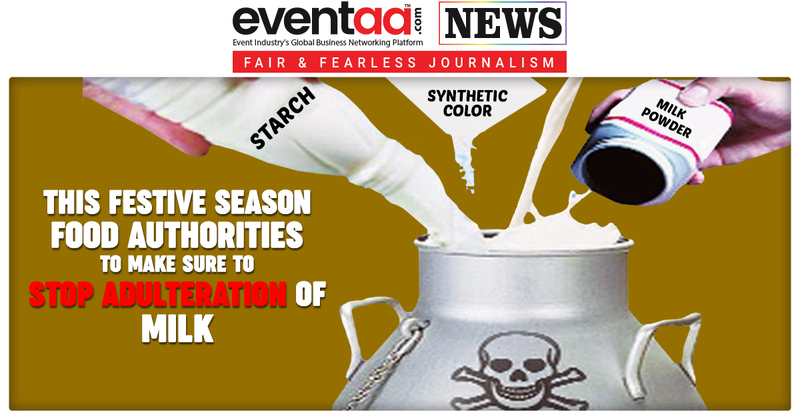 However, it is not just limited to celebrating a pollution-free Diwali. The event hosts are also crowdfunding to help the underprivileged kids living in the capital city. The page administrator is also urging people to donate cash or kind for underprivileged children to make this festive occasion brighter for them. It even lists down the account details of the bank. Meanwhile, the Supreme Court on Tuesday decided to restrict the bursting of crackers on Diwali evening to between 8-10pm. The Supreme Court delivered its verdict but didn’t put a blanket ban on the sale and distribution of crackers but a ‘conditional’ ban that only ‘green’ crackers will be sold. Online sale of crackers on e-commerce websites were also forbidden.